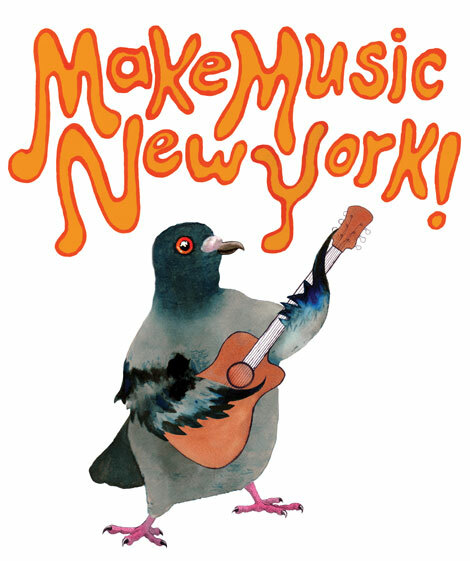 Make Music NY and the NY Ukulele Salon strum in the summer solstice with a four-hour concert and play-along with some of the best performers on the NY uke scene. Make Music NY celebrates its 4th year with more than 1,000 concerts around the city, along with similar events in hundreds of other cities. The "Mass Appeal" concerts feature lovers of specific instruments, and this year they've asked the NY Ukulele Salon to organize the uke gathering. We have a great location: Union Square, as part of the Green Market (northeast corner of the park). The event is a Monday, so it starts at 4pm and continues till dark. Fun for kids of all ages. Each featured act gets 3 songs, including one for audience participation, so bring your ukes! Please spread the word via Facebook, email, Twitter, spoken voice, etc. See here for more details about Make Music NY - Mass Appeal.